A ChicagoNow article from earlier today discusses the current availability of Naperville rentals. Here is the article discussing the homes and condos that are currently available to rent. 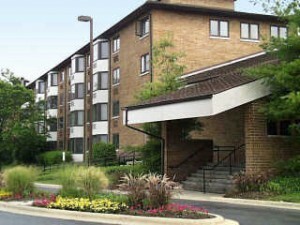 There is a wide variety of private Naperville rentals available, ranging from $800 to $7500 per month. This will most likely be a continuing trend as homes in Naperville continue to drop in value (as is the case nationwide). Many in Naperville have experienced severe drops in the value of their homes over the course of the previous five years. Many area homeowners owe more on their mortgages than what their homes are worth. The vast majority of homeowners cannot afford to sell their homes and take the financial loss associated with doing so. For this very reason, we will continue to see an increased availability of Naperville rentals. It’s starting to seem as though renters are getting the last laugh. Rental homes and apartments seem much more practical in the current real estate market. James Altucher recently posted, “Why I Am Never Going to Own a Home Again.” His argument that renting is a far more practical and financially sound choice makes a lot of sense (even for a homeowner like me). For the first time in my life, a house no longer seems like a solid investment. In fact, owning a home doesn’t seem like an investment at all in the current market. Housing prices will come back eventually, but it will be a very long time before Naperville sees the overly inflated prices of the 1990’s, prices that were likely fueled by the funny-money that the vast majority of mortgage lenders were practically throwing at borrowers. Naperville is a great city. It’s a great city regardless of owning a home or renting. Someone living in a Naperville rental will have access to the same city services and resources available to the homeowner. I suppose the difference is that the renter may have more time to enjoy those resources, as they will certainly have far less yard work and home maintenance to worry about. You can find a list of current Naperville rental properties here.